The Horse and Groom is a centuries old Coaching Inn. The premises appear to have been built in the early 1800s. The inn is low-roofed with the usual yard, stabling and paddock at the rear. Also at the rear of the inn was once held the local horse market. Then exterior is still original and the interior small bars have not been altered too much or spoilt so that it still retains much of its original charm. One of the earliest recorded Licencee’s was William Motley, by trade a tailor, from 1855 – 1864. 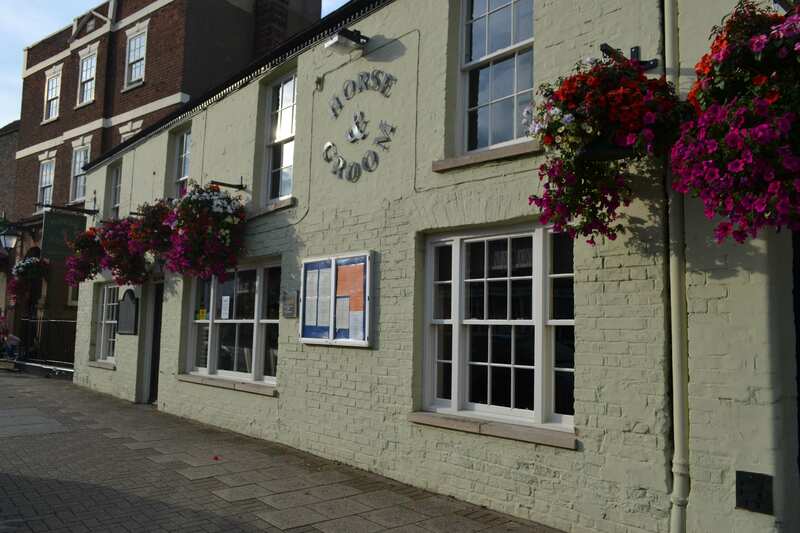 Previous to William Motley taking over the licence of the Horse and Groom he was the licencee of the String of Horses in Holbeach. The 1861 Census shows him well established at the Horse and Groom with his wife, Sarah, 3 servants and 2 lodgers. Of the servants, one was the housekeeper and the other two were the ostler and groom. This is an indication of the inn’s status offering accommodation for travellers. The fact that an ostler and groom were employed would suggest that there must have been sufficient horses for them to attend. William Motley died in April 1864 aged 45 and his widow, Sarah, took over as licencee but she died 3 years later. There was also a brewery attached. The feature of brewing their own beer at old inns indicated a lively trade. The token coin depicts a man playing bagatelle. This clearly indicates the purpose for which the token was used. The table would have been quite expensive and the Horse & Groom Inn licencee would, naturally, require reimbursement for his outlay. This would be achieved by the selling of the token coins to the players, thus allowing them to participate in a game. The winner would be presented with the tokens by the losers, to be exchanged later for refreshment. These bagatelle tables were the clear forerunners of the modern coin-in-the-slot tables.